Queso Fundido is sometimes called choriqueso (chorizo-cheese). 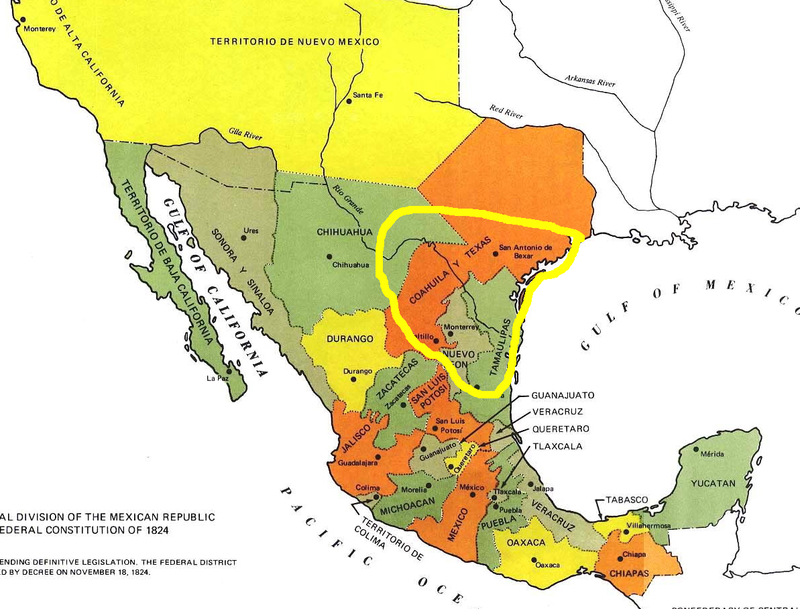 It’s a favorite throughout the Texas Mexican food region, which includes central and south Texas and northeastern Mexico. I make it regularly, especially when unexpected company drops in. Just pop it in the oven and wait for it to sizzle and bubble. Yum, yum, it’s truly a “Norteño” classic. 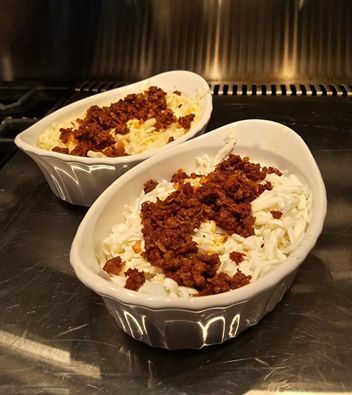 Queso fundido is made with beautifully melting Queso Chihuahua and Mexican chorizo, made with puerco, pork. Tzintzicha immediately ordered the pigs killed, because he considered them not just giant rats, but also an omen of bad luck. He was right about the second. Don’t let this story put you off pork or chorizo. Eventually pork became culinarily accepted and commercially important. This recipe for chorizo has two types of red chiles and also the aromatic spices, cinnamon, cloves and cumin. I love it and think it makes a wonderful Queso Fundido, melted cheese appetizer. If you don’t want to make your own chorizo, buy a reputable brand at the store. The nice thing about making your own is that, from batch to batch, you can modify the amount of spices and chiles that you use and thus tailor the flavor to your personal taste. I love this Queso Fundido recipe. It sizzles and bubbles! To seed and devein the chiles, split them open either by cutting an incision with a paring knife or splitting them with your fingers. Then take out all of the seeds and peel off the veins. It’s fairly simple. Here’s a picture of a Pasilla chile with the seeds and veins and another of an Ancho chile already cleaned. Wear rubber gloves if you can to protect your skin from the capsaicin. 1. Place the chiles in boiling water for 15 minutes, then drain. 2. In a blender, purée the chiles together will all the other ingredients until very smooth. 3 In a large bowl, add the chile purée to the lean ground pork and mix well. 4. Refrigerate for 24 hours to let all the flavors blend. 5. Divide the Chorizo into small batches that are just the right size for later servings. Stored in the freezer they will keep for up to 3 months, but I bet you’ll eat it sooner than that. 2. Place the grated Chihuahua cheese in an oven proof dish that is at least 7 inches wide but not more than 10 inches. 3. Sprinkle the cooked onion and chorizo over the cheese and place in the oven. Cook for 10 or 15 minutes or until you see the cheese bubbling and sizzling rapidly. Serve immediately, spooning the queso fundido onto hot tortillas for tacos.